Don't you hate it when you make something and then totally forget to take pictures of it before wrapping it up and delivering it to the one you love? Doesn't this happen to everyone? 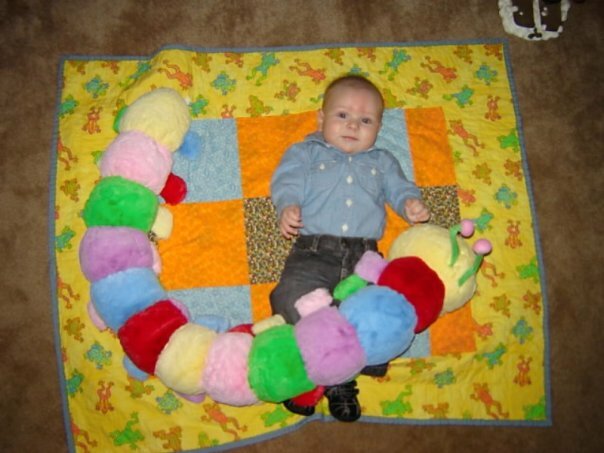 It happens to me more often than I would like to admit but luckily I have some faboo friends who send me pictures of the item I made, and in this case it's my oldest friend Cindy's sweet boy Caden and the quilt I made for him. Isn't he just the cutest thing ever?!?! 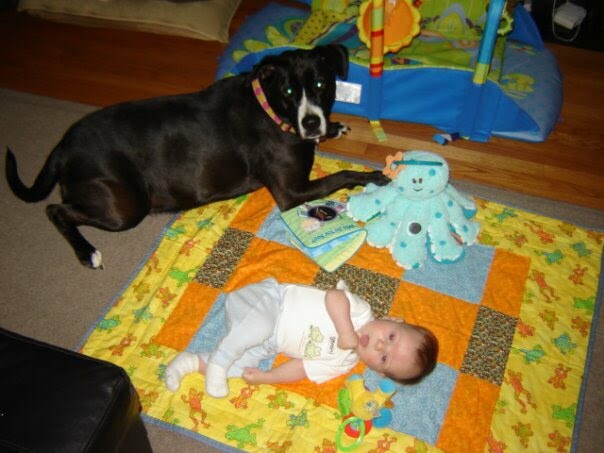 However, I will also say that this quilt is Caden's fave, and the size is just perfect!!! He will sometimes just sit and look at the images and patterns, and then reach for them, as if he wants them to come to life...it just fascinates him!!! 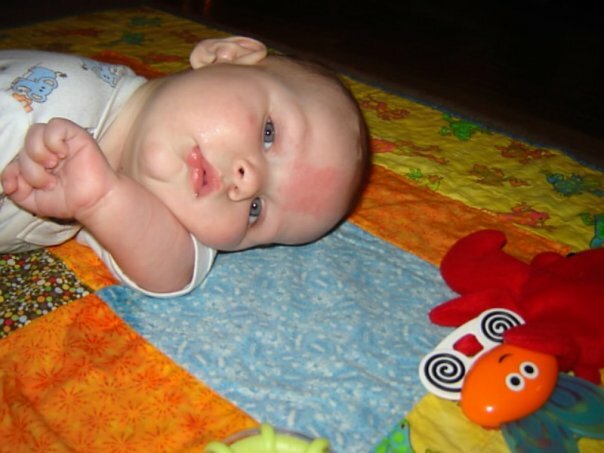 I just love him having such a creative and talented aunt!!! Love you!! !